Delifrance is still quite new on the Dubai Mall food scene. Located near the waterfall it offers a great view while you relax from a long day of shopping and unwind by sipping on a delicious cup of their signature hot chocolate. 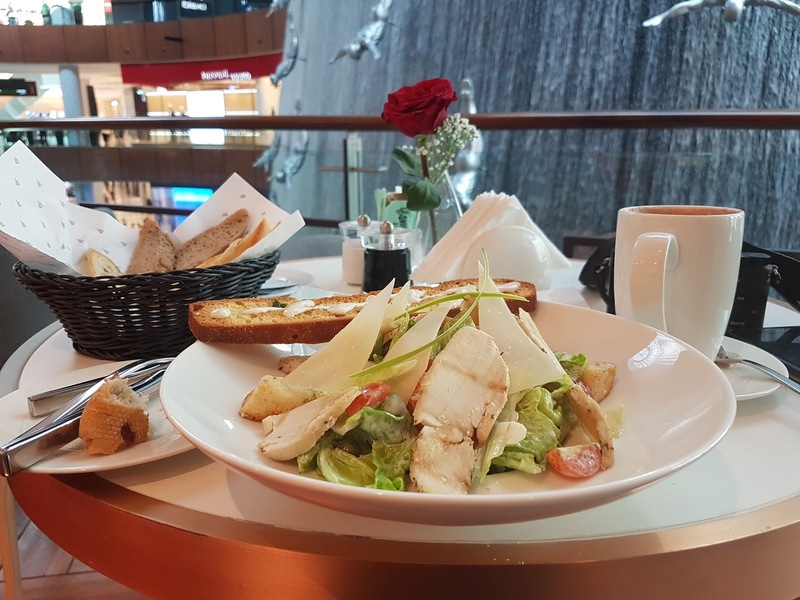 After starting my meal with some bread and that a sinfully good hot chocolate I moved on to something healthy, a chicken ceaser salad. Though the salad was good and came with a crunchy home made bread that they pride on, my chicken was too cold. I would have preferred having the option of warm chicken. The salad left me wanting for something warm to satiate my palette. So I went in for the goat cheese pastry which sounded really good on the menu and for a cheese lover like me was hard to resist. But what came in front of me was rather disappointing. 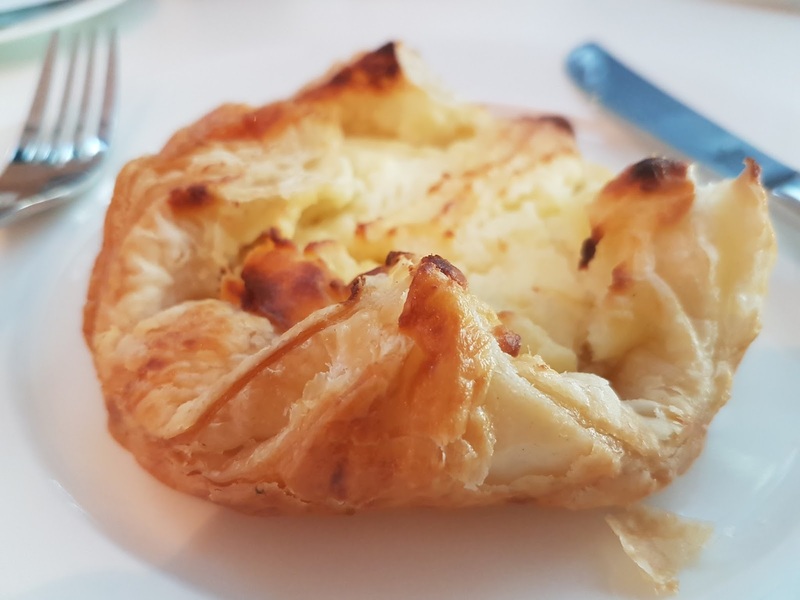 The puff pastry served in front of me was absolutely cold, straight from the fridge and I had to no option but to call it to the staff's attention. Finally an apology and five minutes later I was able to really savor the warm cheese engulfed in a flaky pastry. 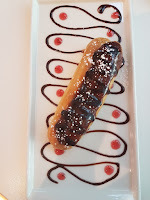 No meal is complete with a good dessert, so I choose their most popular chocolate fondant and an éclair. The fondant was perfect and the gooey center oozed out as I broke into it. 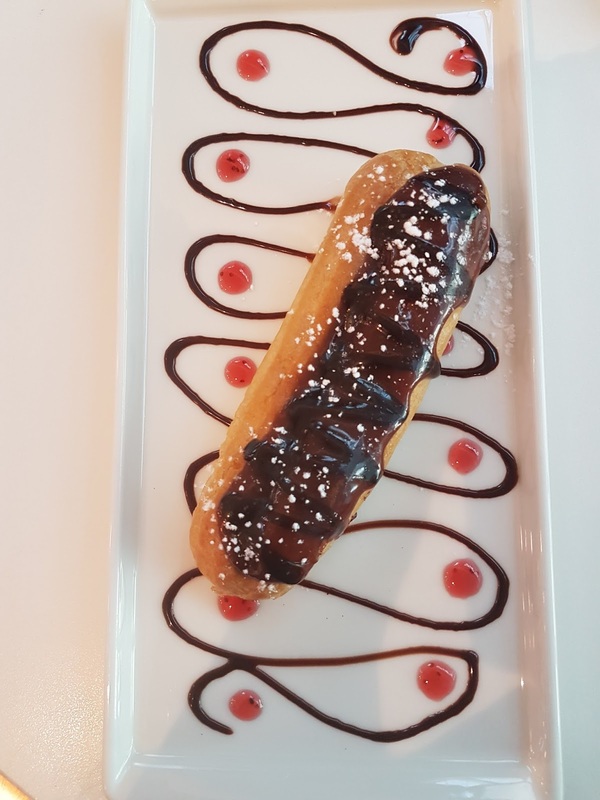 The éclair was nice and chewy. 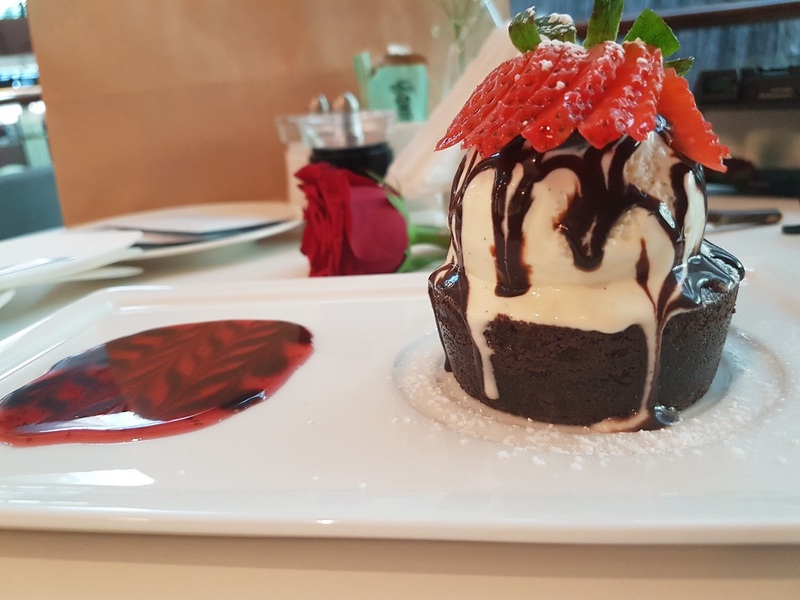 The strawberry sauce that accompanied the fondant had a sour note which was helpful in cutting through the sweetness of the whole dessert. 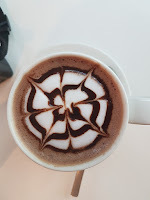 Over all the place is new and is going through a bit of teething problems based on my experience but has a good comfy menu to offer shoppers wanting to put their bags down and take a break without further breaking the bank.